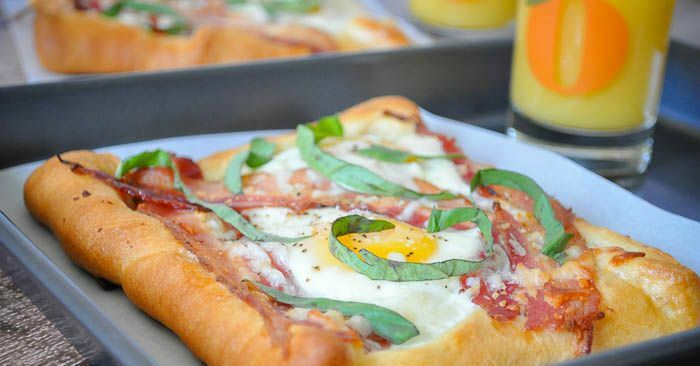 This Breakfast Galette is a lovely brunch idea that comes together in under 20 minutes! I created a challenge for myself to create new breakfast ideas to break out of my breakfast rut. While I will be sharing the full results with you soon, I just had to share this one early! To be honest, this one had my nervous while it was cooking up. I wasn’t sure if the eggs would cook fast enough for the crescent dough not to burn. But they did, and the Breakfast Galette turned out perfect! This weekend was the first time I had given it a try and it was intended as a little treat to myself. I’ve been sick the last few weeks and busy as always with work and family. In a nut shell, I’m run down. Bryan was headed out to watch a football game with friends and the idea of having another bowl of cereal to make it a week straight of bowls of cereal sounded excruciating boring. Dramatically put? Yes, but it’s how this sick, tired girl felt. A good breakfast and a cat nap – which I did take – was exactly what I needed. This recipe isn’t exactly using official galette dough, but it harnesses the idea with a lot less work. Plus, if you love crescent rolls, this recipe was made for you. 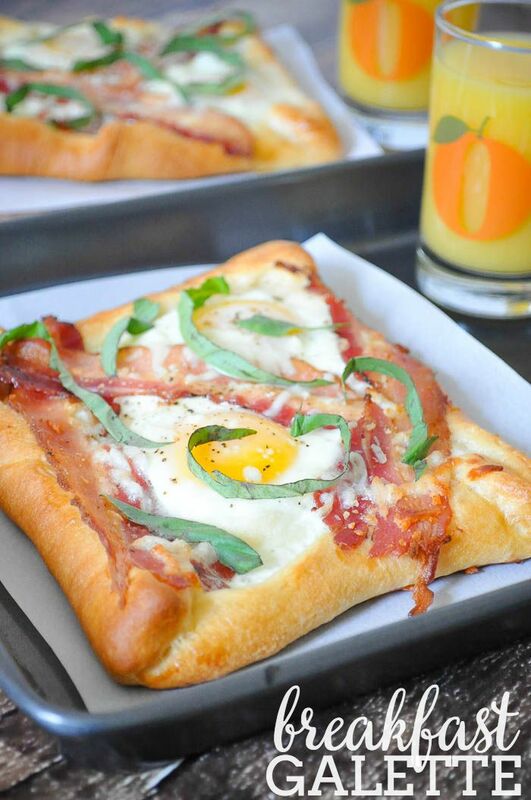 The combo of crescent rolls, eggs, and bacon is irresistible. It was quick to pull together, taking around 15 minutes from start to finish. The more you make the longer it might take. It’s pretty enough to serve for brunch guests as well. If you use a solid crescent sheet, you will need to cut it into two squares. If you are using crescent rolls, teat it into two squares and press down the other seams. Fold the edges over on each square about 1/2 inch. Add your two eggs onto your square in the middle. You want the egg whites to fill in the space as much as possible without spilling over the edge to help with cook time. Add 2-3 strips of bacon and then salt and pepper to taste. Cook at 425 degrees for 10-15 minutes. 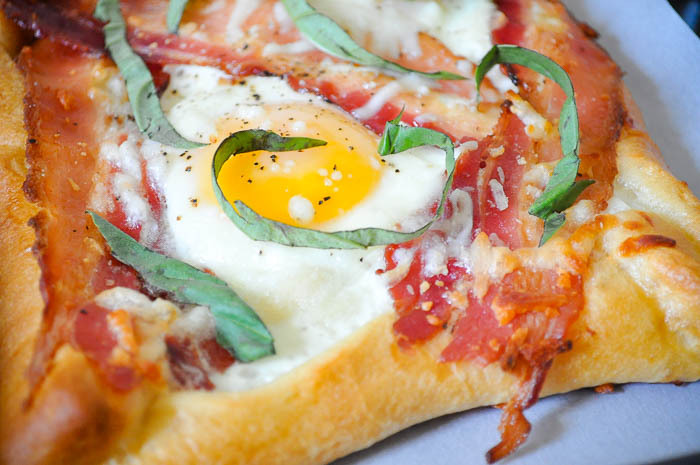 Keep an eye on the galette near the end to make sure your crust is only a nice golden brown and your eggs are fully cooked to your liking.